I recently bought some Bitcoins(around 0.5) and sent some to a friend. He got them direct. Today I wanted to transfer some more but it didn't work. 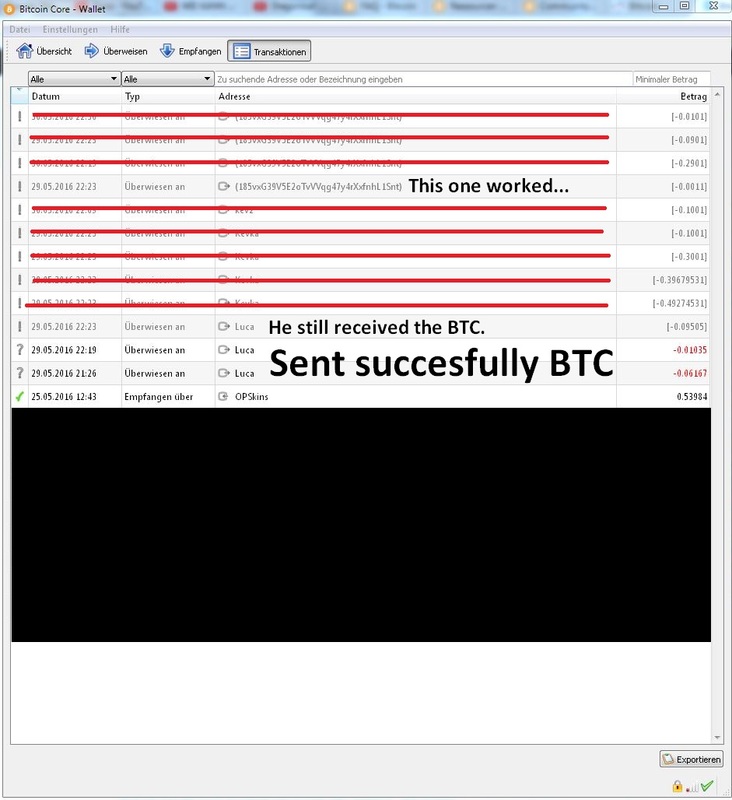 Every transaction was an error, besides one very small one(0.001 BTC). All transactions are marked with a questionmark, so they are not confirmed for whatever reason. After I restarted my bitcoin client, most of the transactions were marked with an exclamation mark. I have no idea why I can not send money any more. Anyone having similiar problems and got a solution? Browse other questions tagged transactions error or ask your own question.